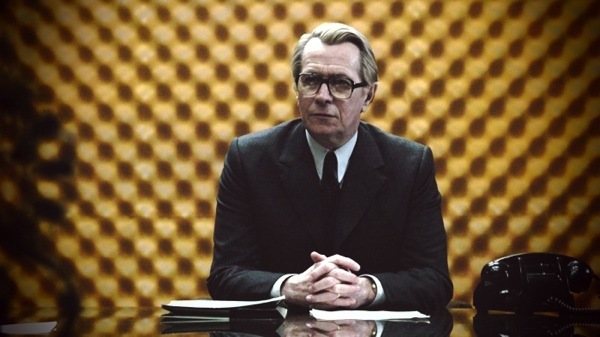 Tinker Tailor Soldier Spy is the sort of movie I should really love – cerebral, labyrinthine, slow-paced, gorgeously restrained, characterised by a refusal to signpost twists or dumb down a complex plot. But here’s a twist I probably should have seen coming – instead of adoring its muted palette and intricate plot, I found myself exasperated, bored and, worst of all, completely baffled. Certainly, the performances were, for the most part, masterclasses in restraint; the production design exquisitely textured; the composition of the shots so very artful – but the plot was so furtively and intentionally obscured it undermined the entire production. There’s a line somewhere between intentional complexity and poor storytelling, and director Tomas Alfredson tramples all over that line. In an early example, it is established that John Hurt’s recently deposed MI6 leader is dead in a single shot that lasts less than a second, and which shows him slumped in a hospital bed from the other side of the room. You practically need binoculars to be sure it was him, and what the hell was he doing in hospital anyway – he was only forced out of the Circus a few moments ago. Alfredson continues in this vain for most of the movie, muffling dialogue and keeping a pronounced distance from the action – a laudable if forced attempt to make the audience feel like we are spying on events. Just when you think the film has managed to bring all its unruly plot strands under control and finally shift the pace from glacial to pulsing, Alfredson botches it with a terribly executed climax. Then Guillam comes running up the stairs, hears some Russian being spoken, the diplomat walks past him, and he enters the meeting room to find Smiley pointing a gun at the mole – tada, the trap has snapped shut off-screen, for some reason. The climax of the entire investigation, the entire film, is so clumsily revealed they might as well have cut it out entirely; at least it would have been in keeping with the muddled narrative. How did such a pivotal scene get so badly botched? There are the practical elements that make no sense, such as how did the mole get past Guillam – isn’t that what he was supposed to be doing keeping watch outside? But most critically, why not show the moment when Smiley confronts the mole and the Russian? Why switch perspective from Smiley to Guillam at this point, after focusing on Smiley for the entire build-up? What effect is this deliberate “not showing” supposed to engender other than confusion among the audience? And it struck me – throughout the film, Alfredson is repeatedly feeding us confusion instead of ambiguity, and while the two can be fruitfully related, they’re not the same. Ambiguity is allowing the audience to determine why certain characters have behaved in a certain way, confusion is leaving them wondering what they have done in the first place. Ambiguity is leaving room for interpretation, confusion is forcing the audience to fill in holes in the plot. Ambiguity is a sign of textual richness, confusion a sign that the text is incomplete. Ambiguity can thrive when “meanings” and “morals” are deliberately withheld, confusion thrives when “plot” and “narrative” is deliberately withheld. I can understand the rave reviews – Tinker Tailor Soldier Spy feels like a serious, mature piece of film-making, the sort of production that allows critics to signal their sophistication. But it’s one of those films that is more fascinating for its inexplicable flaws than its many obvious strengths.